ModelJVC Gumy HA-F150. Earpiece DesignEarbud (In Ear) Earphone Headphone Earpiece. Series: Gummy. The new Gumy Plus features a rubber body for a comfortable fit and good noise isolation, which ensures a better listening experience. 8 color selections (7 iPod nano 6G colors Violet). Free Gift for Order $20 or more. JVC Gummy Wireless Headphones - Mint Green. 2005 tb/NY. Trending at $8.77eBay determines this price through a machine learned model of the product's sale prices within the last 90 days. Gumy earbud headphones feature a soft rubber body with an oval shape that provides a snug fit and include a tangle-resistant 3.28-foot (1.0 m) color matching cord. The bass boosting design insures they look as good as they sound. JVC Gummy Plus Inner Ear Headphones. Series: Gummy. The new Gumy Plus features a rubber body for a comfortable fit and good noise isolation, which ensures a better listening experience. Inner ear design. The impedance of these headphones is 16 Ohms. This in the ear version of the popular Gumy series headphones provides inherently good noise isolation. The coconut white color of these JVC headphones and the 3.3-foot cord are matched to that of the white iPod nano 6G. 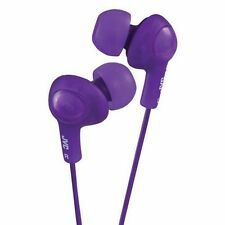 JVC Gumy Gummy Plus HA-FX5 In-Ear Canal Earbuds Headphones Earphones Olive Black. All photos are of our worst conditioned item in a lot. 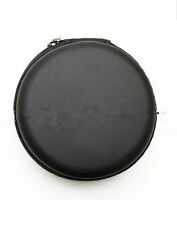 You will likely receive an item of equal or better quality than the actual photos. The new Gumy Plus features a rubber body for a comfortable fit and good noise isolation, which ensures a better listening experience. Inner ear design. 3.3ft (1.0m) color cord. Color: Blue. 3 sets of silcone earpieces (S/M/L). JVC HA-FX5 earbuds. cord length: 3.3ft / 1m. color: green. works with MP3, laptop, tablet, smartphone, and any audio device that takes standard 3.5mm plug. JVC Gummy Plus Inner-Ear Headphones. The new Gumy Plus features a rubber body for a comfortable fit and good noise isolation, which ensures a better listening experience. Inner ear design. 3.3ft (1.0m) color cord. Gummy earbud headphones feature a soft rubber body with an oval shape that provides a snug fit and include a tangle-resistant 3. 28-Foot (1. 0 M) Color matching cord. The bass boosting design insures they look as good as they sound. The new Gumy Plus features a rubber body for a comfortable fit and good noise isolation, which ensures a better listening experience. Soft rubber body for comfortable fit. 3 sets of silcone earpieces (S/M/L). These compact novelty headphones feature a folding design for ease of travel, while the plastic headphone housing avoids adding unnecessary weight to your gym bag or purse. The ear pieces are cushioned for comfort, and the adjustable head band size makes them appropriate for youngsters and adults alike. JVC Gummy Plus Wired Inner-Ear Headphones. The new Gumy Plus features a rubber body for a comfortable fit and good noise isolation, which ensures a better listening experience. Connectivity: Wired. Inner ear design. NEW GUMMY PLUS INNER EARBUDS Soft rubber body for comfortable fit and good noise isolation. JVC Gummy Plus Inner-Ear Headphones in White. Series: Gummy. The new Gumy Plus features a rubber body for a comfortable fit and good noise isolation, which ensures a better listening experience. Connectivity: Wired. JVC HAFX5W Gummy Plus Inner-Ear Wired Headphones in White. Condition is New. Shipped with USPS First Class Package. Product Code HAEN10BE. Secure and comfortable fitting with "Nozzle fit earpiece". S/M Nozzle fit silicone earpieces included. 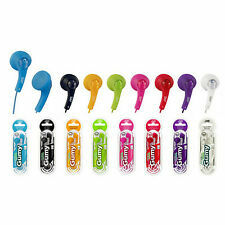 Sweat proof "Gumy Sport" headphones ideal for sports.